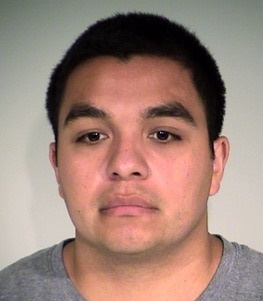 The trial of St. Anthony, MN, police officer Jeronimo Yanez in last year's fatal shooting of Philando Castile will remain in Ramsey County, where the death occurred, a judge ruled Thursday. Ramsey County District Court Judge William H. Leary III issued his decision denying defense attorneys' motion for a change of venue after hearing impassioned arguments in court Tuesday morning, the Minneapolis Star-Tribune reports. Yanez's attorneys, Paul Engh, Earl Gray and Thomas Kelly, argued in court filings and at Tuesday's hearing that media coverage was "slanted" against their client, and that the case had become an "omnipresent spectacle." "The Minnesota Supreme Court has held that pretrial publicity is not solely determinative of whether a change of venue should be granted," Leary wrote in his decision. "Rather, the fundamental issue is whether jurors from the community where the alleged crime occurred can honestly and in good conscience set aside pretrial publicity and their own impressions or opinions regarding the case." Officer Yanez, 29, was charged Nov. 16 with second-degree manslaughter and two felony counts of dangerous discharge of a firearm in the death of Castile, 32, during a traffic stop in Falcon Heights on July 6. The last two charges filed against Yanez, who is on paid administrative leave, are for endangering Castile's girlfriend, Diamond Reynolds, and her then-4-year-old daughter, who were in the car at the time. The trial is scheduled for May 30.